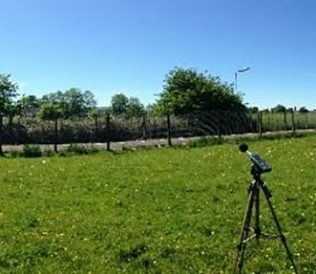 A Noise Impact Assessment was completed by CSP Acoustics on behalf of Graham’s Family Dairies and MacTaggart & Mickel to support a new mixed use development at Airthrey Green, Bridge of Allan, near Stirling. The proposal included 600 residential units, of which a proportion would be affordable housing; commercial space at a neighbourhood centre and a new primary school. The Noise Impact Assessment took account of all local noise sources, including how rail traffic, road traffic and industrial yards would affect the proposed housing development. It was concluded that, subject to the implementations of noise control measures established through the assessment, there was no reason why noise should present any impediment to the grant of planning permission for this development. Noise control measures included noise control barriers. 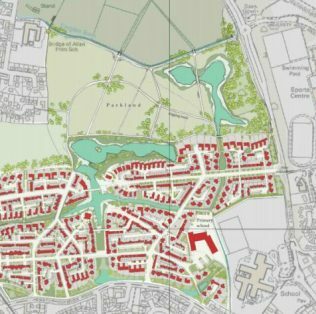 The development was recommended for approval by the Council, but councillors turned down the initial application. The development is now the subject of a planning appeal. Planning Consultants: Ristol Consulting Ltd.